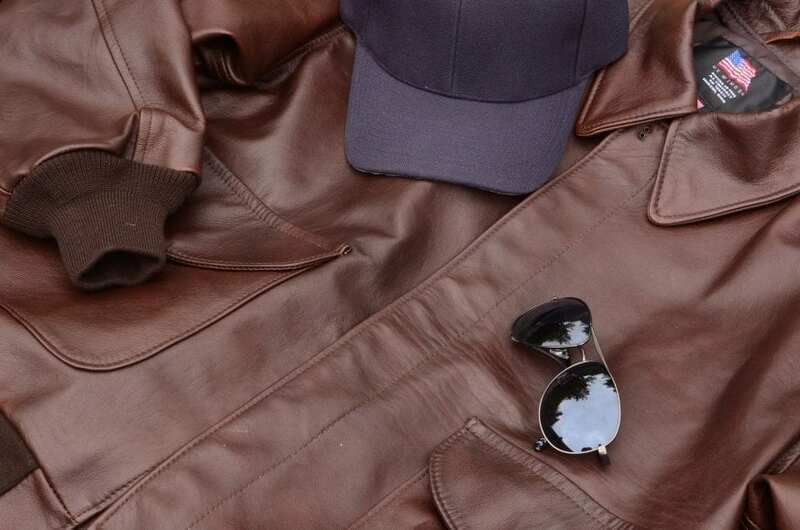 In our last review from US Wings, we took a look at their iconic Indy Style Adventurer Jacket and were introduced to US Wings quality selection of leatherwear. We enjoyed that jacket so much and were delighted when asked to review the US Wings Kangaroo Leather Bomber Jacket Modern A-2. 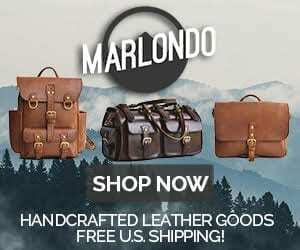 This is our first review of a product entirely composed of Kangaroo leather! The A2 Bomber jacket has quite a storied past and is almost instantly recognizable. Standardized by the US Army Air Corps in 1931, the A-2 saw most of it’s service in WW2 to provide protection from the elements for pilots in open cockpit planes. US Wings modern version retains the same classic styling elements but with a few slight modifications such as seal brown coloring and a slightly looser fit. The A-2 features 2 front cargo pockets with side entry handwarmers and an inside chest pocket for adequate storage options. The collar has snap downs that keep it in place and the brass YKK zipper is very solid and smooth. A windflap runs along zipper length and a hook and eye closure secures the collar at the top. Stitched down epaulets adorn the shoulders. The kangaroo leather used is actually regulated and certified by the Australian government. And if that doesn’t impress you, studies conducted by the Australian Commonwealth Scientific & Industrial Research Organization, state that Kangaroo Leather is lighter and stronger than cowhide or goatskin. It’s pretty much the titanium of leathers. The supplier of this particular leather is Packer Leather of Queensland Australia which has been around since 1881. The leather is incredibly lightweight. For reference the Indy Jacket weighs about 4.5 pounds and is cowhide, the A2 in Kangaroo weighs 3.3 pounds. The A-2 is an excellent get up and go jacket. The super supple Kangaroo leather forms very well to my frame. The fit is true to size and my normal size large fit accurately. The ventilation grommets on the underarm are a very welcome feature and with the lighter leather, make this a great warm weather option. The ribbed cuffs and waist keep out air and offer a snug fit but sometimes the waist seems to ride up under the jacket when walking, a minor inconvenience if anything. My only real issue is the hook and eye closure. It’s a little difficult to get in place and I think a concealed button would work better. The A-2 was meant to shield pilots from the elements in planes, and this bomber excels at that. It was a blustery day in the mid 50s when I took these photos and the wind didn’t bother me at all. The versatility of the leather is quite impressive. I live in Marin County and the climate can change drastically just over a short distance. At the base of the Golden Gate it was cool and windy, but 15 minutes north on 101 and the temperature jumped to the low 70s. In any other leather jacket I’d be tempted to drop by a 7-Eleven, grab a pina colada Slurpee and pour it down my shirt, but the A-2 still felt alright. This is a great riding jacket and I appreciate how it handles weather changes. The bomber jacket in general is a quintessential piece of manliness. Take the US WIngs A-2 with one of the finest leathers available and you’re just not playing fair. This jacket just exudes cool. It goes well with just about anything, you could probably wear jorts and still get away with it. You really can’t go wrong with classic looks, it’s timeless and never goes out of style. The US Wings Kangaroo Leather Bomber Jacket Modern A-2 is quite possibly one of the finest leather bombers available on the market. Made in the USA with premium Australian Kangaroo leather, this jacket will serve you, as well as your kids and perhaps their kids too. At $889 dollars it’s quite expensive (US Wings offers this model in many other affordable options) but will last a lifetime.